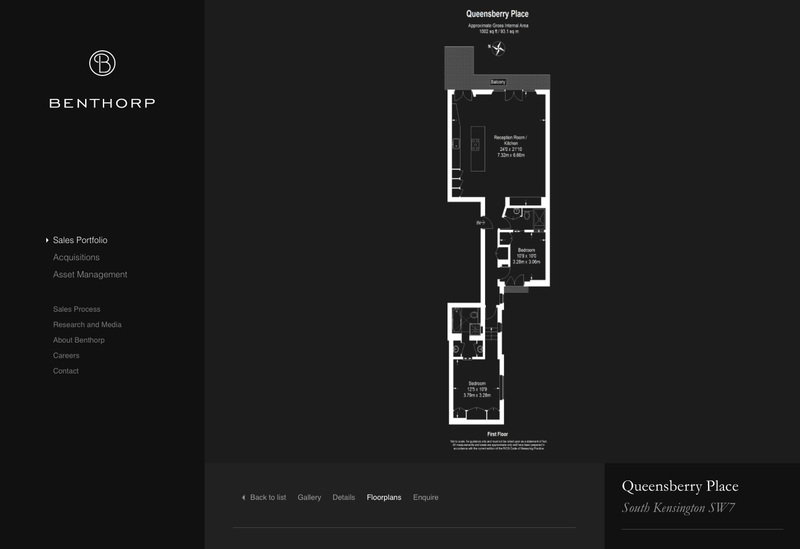 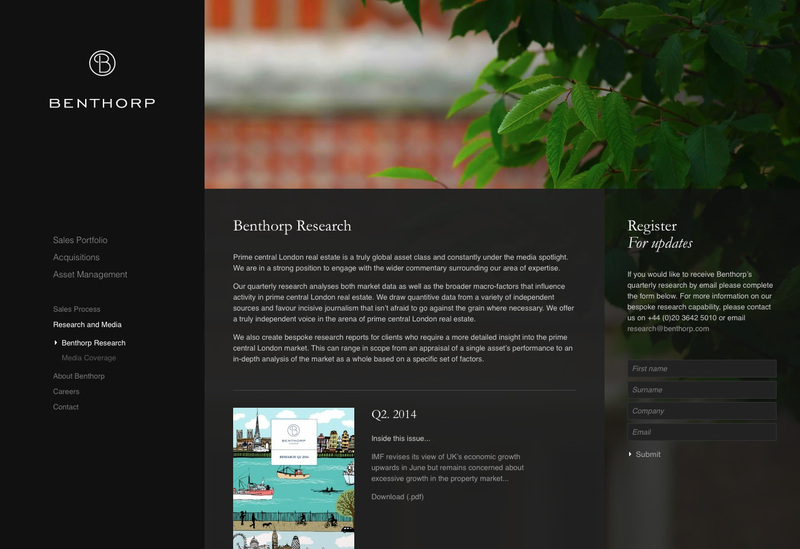 Benthorp is a real estate adviser focusing on prime central London. 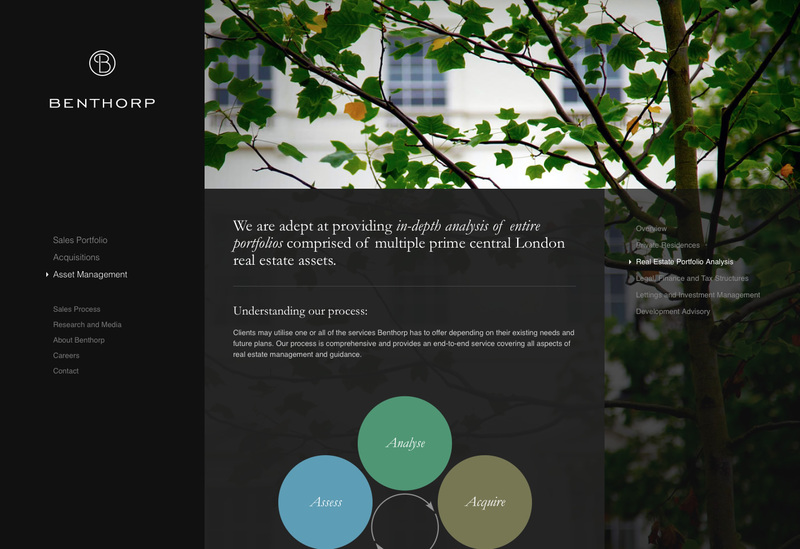 They act for individuals, family offices, trusts and institutional investors across a range of disciplines from property sales and lettings, acquisitions and management, through to bespoke market research and analysis. 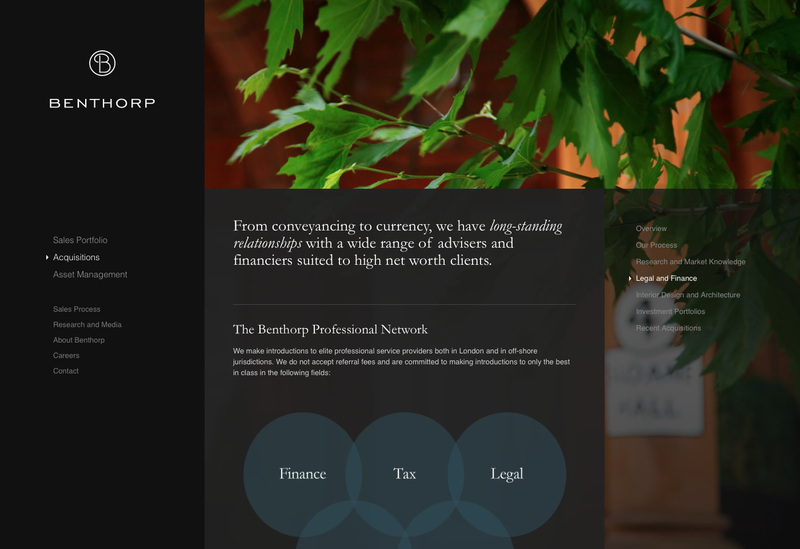 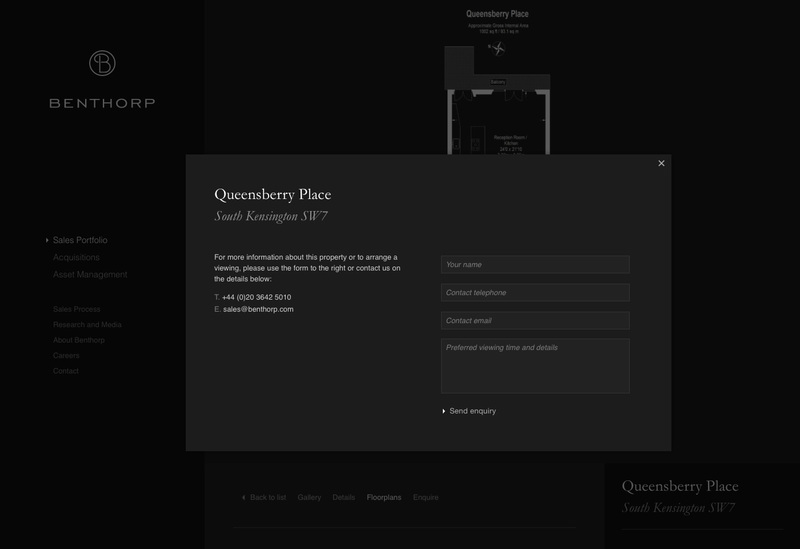 We were appointed by Benthorp to design and build a new online presence for the business. 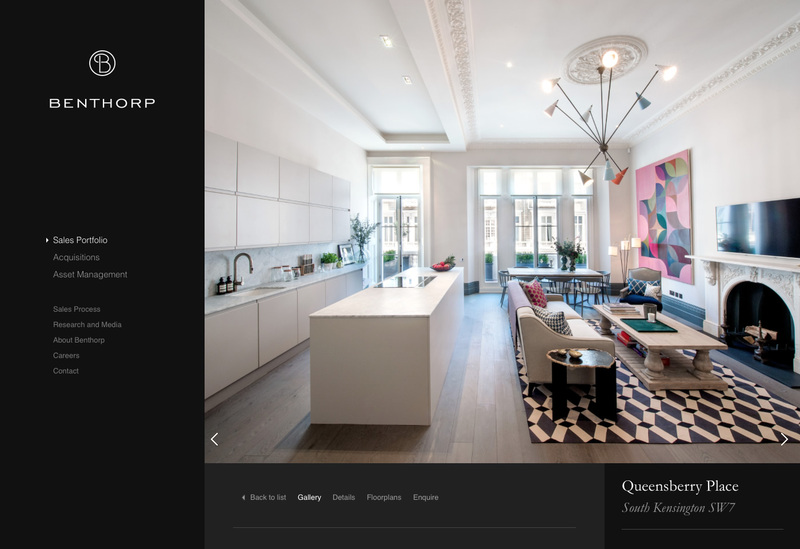 This has involved working closely with their team on their overall messaging and content for the site as well as developing a flexible content management system for the complex requirements of a real estate business. 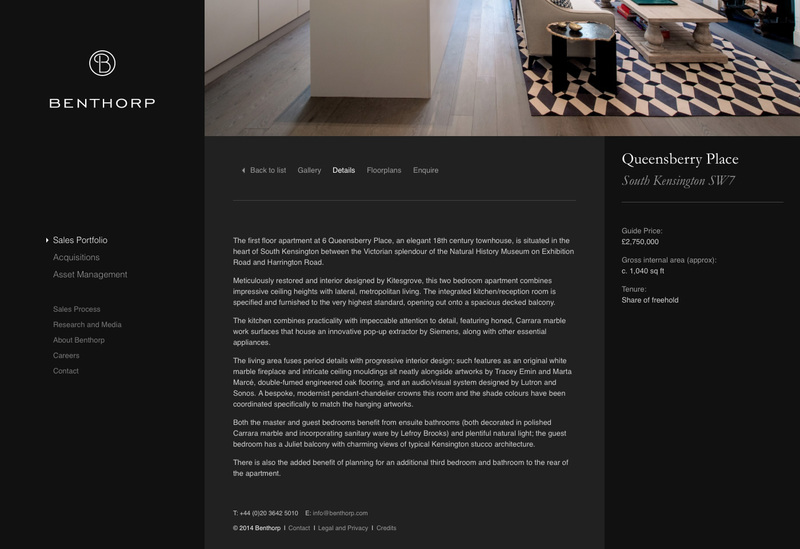 We created an entire new look and feel for the brand, a refined new logo marque, and commissioned original photography to capture the essence of their market and surroundings. 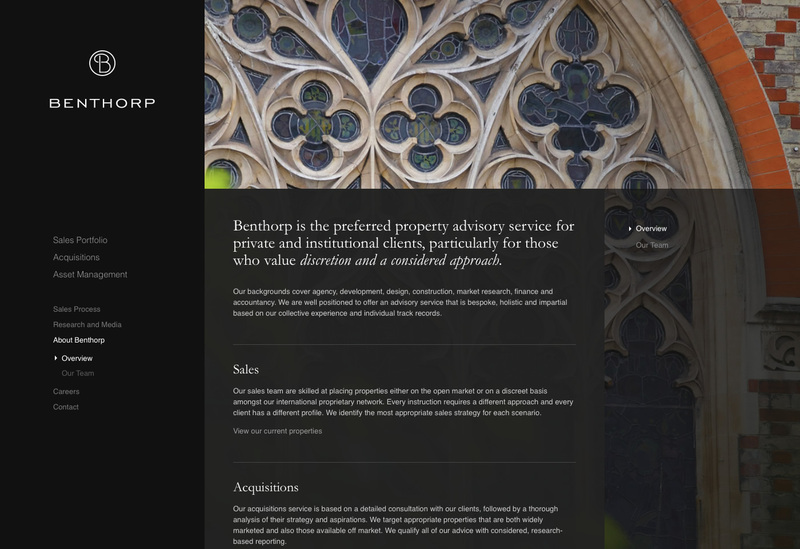 Benthorp was acquired by Charles McDowell Properties in 2015 and the site is now offline.